Being a best man is both challenging and rewarding. The worst part is probably the speech itself. But with a bit of guidance, you can make it much simpler. Here, we will tell you how to structure your speech. 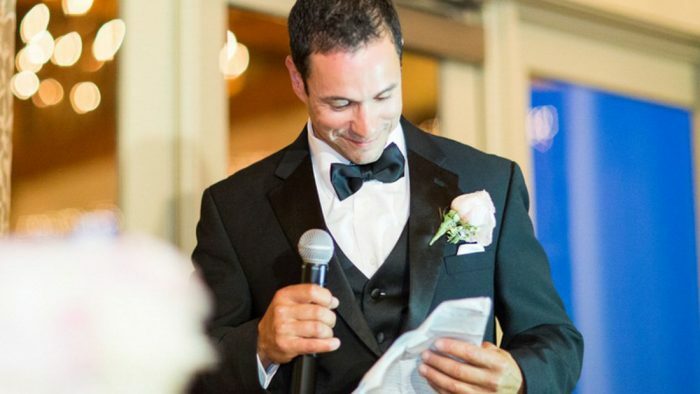 We will also give you one of our greatest best man speech examples. Lastly, we will tell you where you can learn more. Get a laugh from the crowd with a joke. 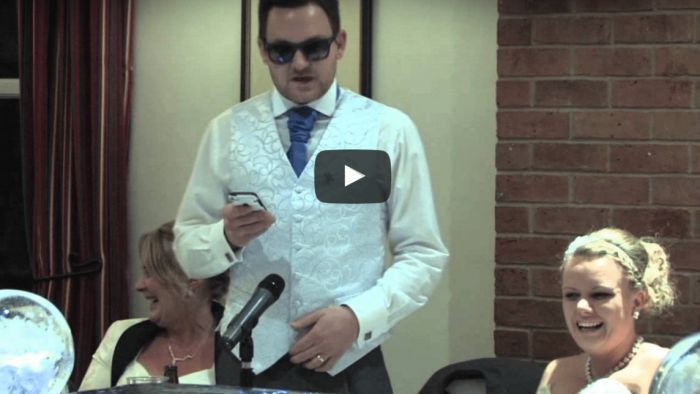 Tell people how you know the groom. 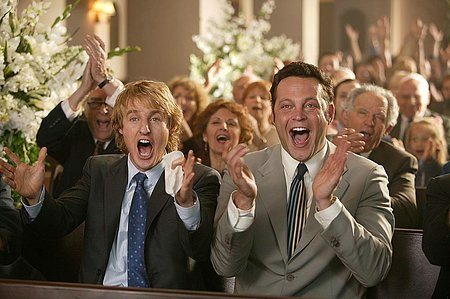 Share another joke or a few funny personal stories about the groom. 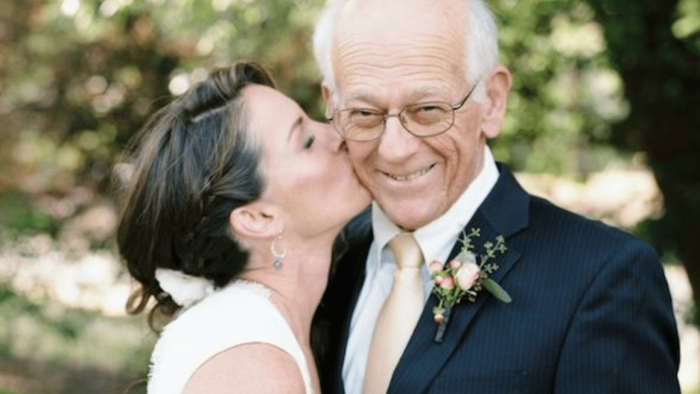 Talk about his relationship with the bride. Offer congratulations and some genuine wishes for the couple. Good afternoon ladies and gentlemen. I would like to thank Joe for his kind words. For once in my life, I find myself agreeing with him. Julia, you look great Today is a sad day for single men, as another beauty is taken. Such a sad day. If you don’t know me, I’m Greg. I’ve been Joe’s best friend for years. Maybe too long to even remember. I have fond memories of growing up with him, in fact. We have enjoyed bike rides together, great board games, video gaming sessions, and even trying (a couple times) to get girls in to bed with us. And I emphasize trying there. Not that it ever worked. Like all friends, we’ve had our ups and downs. I remember times when an argument would arise from nowhere. Joe would call me dumb, and I’d call him ugly face. And then we’d each end up running home to our mommies. But sure enough, the next day, Joe would shoot me a text and everything would be good again! During our teenage years, we often tried to woo the same women. As you can imagine, this resulted in lots of tiffs between us. Especially because Joe felt he could genuinely make any woman happy. Which was actually not true, ever. Until, that is, he met Julia, the lovely bride. And, considering he’s now spending less time out with me (not that I am jealous) I am sure that tells you just how much he loves her. I can truly see just how happy the couple is together. And I want that happiness for myself. I mean, I want their happiness to last forever. So though I’m not married myself, yet…ladies… [Turn to bridesmaids], I thought I would offer the couple some advice. Julia, feel free to tell Joe to do something for you. Or tell him how to do something. But please, not both. Joe, getting married means plenty of new obligations. But remember, foreplay is always optional. Ladies and gentlemen, raise your glasses to my best friend and his beautiful new wife. To Joe and Julia. 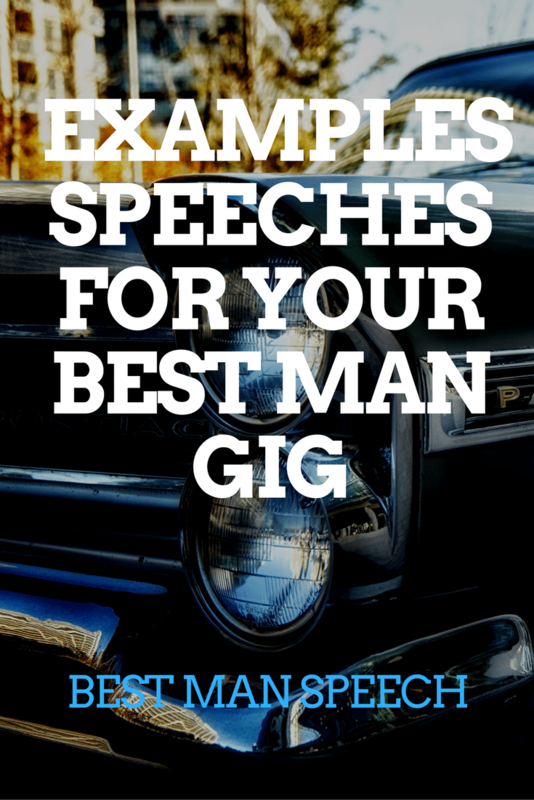 Creating a great best man speech is all about making the wedding day special for the couple. It is also about being there for your best friend when they need it most! 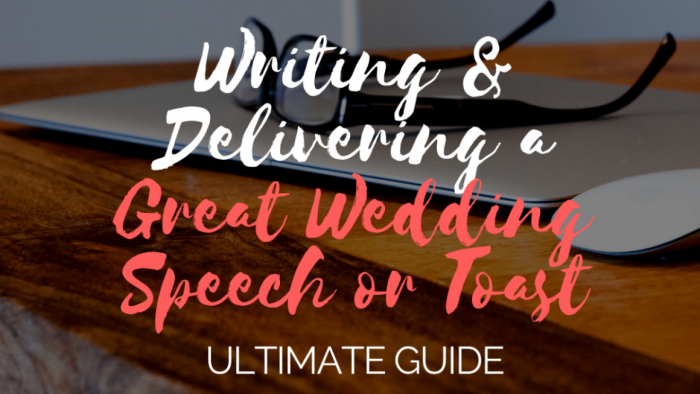 Your speech should be thoughtfully written and crafted.